Kibaha Education Centre is a Multi-purpose Educational Institution that is located in Coast Region (Tumbi area) about 40 kilometres (24miles) West of Dar es Salaam along Morogoro Road. This Centre started in 1963, sponsored by five countries –The then Tanganyika Government on one hand and the Government of four Nordic Countries on the other hand i.e. Denmark, Finland, Norway and Sweden. The Centre was known as the ‘Nordic Tanganyika Project’ until 1970 when the four Nordic Countries handed it over to Tanzania Government. The Nordic Tanganyika project then became Kibaha Education Centre (KEC) as per Government Notice No.02 of made under the Public caption Act, Cap 257 PE. 2002. The overall objective of the Centre as originally conceived was, through its institutions, to launch a three frontal attack on the problems of Poverty, Ignorance and diseases collectively named as main development enemies. Kibaha Education Centre is envisioned to become a centre of excellence in eradicating poverty, ignorance and diseases. Kibaha Education Centre in committed to provide quality socio-economic services through efficient and effective use of resources, capacity building and good – governance in integrated approach in order to improve the living standard of people. ii. Inspect facilities used for public services e.g. cafeterias, Bars, Kitchen, Dining Halls, Schools, workshops, Offices, Sanitary services etc. iii. Destroy remains in the environment. ix. Make follow-ups of working equipment in his/her working area. x. Performing any other duties related to his/her work as assigned by his/her Supervisor. Diploma in Nursing from a recognized Institution. Must be registered by the Tanzania Nurses and Midwifery Council. i. Screening all in-patients to identify those with social medical problems and report their cases to senior staff. ii. Preparing various periodical reports pertaining patients with social and economic problems that can help the management in decision making. iii. Carrying out major ward rounds to identify and assessing the progress of patients. iv. Collecting data and statistics for exempted patients and other cases that require Institute’s support. v. Sorting and preparing list of patient’s requests for exemption and other cases that require Institute’s support. vi. Counseling patients under the supervision of senior staff. vii. Performing any other duties related to his/her work as assigned by his/her Supervisor. Bachelor Degree or Advanced Diploma in Social Work/ Sociology from a recognized institution. ii. KEC-wide occupational health and safety program designed to prevent injury, occupational illness and damage to property. iii. Draft and recommend KEC-wide safety and health directives; and maintain KEC safety related manuals, including preparation and distribution of appropriate updates. iv. Determine applicability of administrative and regulatory requirements and other health and safety laws and implement applicable regulations and standards. Maintain current knowledge of legislation, regulations and practices in safety and health and advise KEC management regarding the impact on District operations. v. Establish and implement safety training objectives. Plans and schedules in the area of health and safety. Conduct or provide for safety/health related training. Maintain records and a data base of employee training, medical examinations, licenses, and certifications. vi. Conduct and supervise facility and site inspections, job hazards analyses and other evaluations to identify hazards and potential risks. Make recommendations to managers as required and implement appropriate corrective actions. Conduct audits of corrective actions to ensure compliance with regulations and corrective action. Bachelor Degree in Environmental Health from any recognized Institution. iii. Attend in and out patients. iv. Attend emergency medical duties. v. Carrying out investigations of admitted patients. vi. Performing any other duties related to his/her work as assigned by his/her Supervisors. Advanced Diploma in Clinical Medicine. i. Contribute ideas to primary and secondary prevention of functional disabilities. ii. Identify predisposing factors to disabilities at homes, schools and working environment. iii. Execute treatment plans for patients. iv. Participate in PHC programs. v. Treat patients through physiotherapy techniques. vi. Conduct health education program to inpatients and outpatients. vii. Keep and maintain patient’s records. viii. Conduct training and awareness of primary and secondary prevention of functional impairment of disabilities to paramedical staff and community. ix. Performing any other duties related to his/her work as assigned by his/her Supervisor. Bachelor Science Degree in Physiotherapy or its equivalent from a recognized Institution. iii. Carrying out diagnostic procedures in the area of specialty. iv. Prepares teaching materials and supervise junior staff. v. Ensures adequate supply of consumables and working tools to the laboratory. vi. Ensures proper maintaince of equipment is carried out and that the working environment is kept at acceptable hygienic condition all the time. vii. Maintains and supervises quality control programs in the laboratory. viii. Executes safety programme in the laboratory. ix. Participates in communicable diseases surveillance and control. x. Participates in relevant research projects. xi. Assists senior staff in various fields of operation. xii. Organizes and supervises student in practical. xiii. Participates in preparation of annual budget for the section. xiv. Performing any other duties related to his/her work as assigned by his/her supervisor. Bachelor of Science Or Advanced Diploma in Health Laboratory Sciences or equivalent qualifications. i. Dental work except crown and bridge, orthodontist and maxillofacial density. iv. teach in the health institutions. vii. Procurements and care of Dental working tools and Dental workshop. viii. Dental prosthesis, partial dentures. National Form IV examination certificate who have attended and passed a 3 years Diploma course in Dental from any Government recognized Institution. ii. Give bed bath to bed ridden patients. iii. Provide and removing bedpans and urinal bottles. v. Collect patients’ linen for laundry services. vi. Send patients for e-rays. vii. Send specimen to laboratories and collecting results. viii. Performing any other duties related to his/her work as assigned by his/her Supervisor. Ordinary Secondary School Education with at least 1 year certificate in nursing course. vi. Performing any other duties related to his/her work as assigned by his/her Supervisor. Form Four National Examination certificate who have attended and passed a 3 year Ophthalmic Optician Course from a recognized institution. ii. Deal with obstetrics and gynecology problems iii. Attend in and out patients. ii. Laboratory examination and analysis in Parasitological, hematology and bacteriology. iii. Extraction of blood for donors and transfusion to patients. iv. Performing any other duties related to his/her work as assigned by his/her Supervisor. National form four examination certificate and has attended and passed a 3 years in Laboratory Technologist Course in a government recognized institution. i. Preparing annual drugs and treatment instruments requirements and its budget. ii. Ordering, storing and dispensing drugs and treatment instruments in the Institute. iii. Keeping various records of drugs and treatment instruments. iv. Preparing list of drugs and treatment instruments for Institute’s use. vi. Making regular reconciliation of drugs sold against revenue collected. vii. Sorting out and listing drugs expiring within three months for the attention of supervisor. Degree in Pharmacy (B. Pharm.) or its equivalent from a recognized institution. Must have completed one year Internship and be registered by the National Pharmacy Council of Tanzania. i. Assess and treat patient through physiotherapy techniques..
ii. Keep and maintain patient’s records. iii. Ensure proper up-keep of equipment in the Unit. iv. Treat patients through physiotherapy techniques under the supervision of Senior Physiotherapist. v. Conduct health education programme to in patients and out patients. Diploma in Physiotherapy from any recognized Institutions. i. Conduct Oral Health education to in patients and out patients. ii. Attending emergency medical duties on Oral health. v. Conducting minor operations on Orthodontics. vi. Assisting senior physicians/surgeon at operations. xii. Assist in conducting outreach programs. xiii. Performing any other duties related to his/her work as assigned by his/her Supervisor. Bachelor Degree in Dental Surgery (DDS) or its equivalent from a recognized Institution. Must be registered by the Tanganyika Medical Council as a Dental Surgeon with one year of internship. i. Attend emergency medical duties. iv. Perform clinical duties in both private and public outpatient clinics. v. Carrying out researches in their respective medical fields. vi. Participate fully in morning clinical sessions, patients’ presentation and journal clubs. vii. Teach and supervise medical doctors and students in clinical works and surgical procedures. viii. Participate in Medical Board. ix. Participate in outreach programs. x. Participate in preparation of budget of Medical Directorate. xi. Initiate, Create and plan strategies to improve his/her professional services. xii. Prepare Continuing Education Programs for Medical Personnel. xiii. Provide Medical legal advice. xiv. Carrying out administrative duties in his respective working area. xv. Performing any other duties related to his/her work as assigned by his/her Supervisor. Master’s Degree in Medicine (M.Med/PhD) in any Physician field. Must be full registered by the Medical Council of Tanganyika. Master’s Degree in Medicine (M.Med/PhD) in any Orthopedic Surgeon field. Must be full registered by the Medical Council of Tanganyika. iv. Keep various records of drugs and treatment instruments. vii. Sort out and list drugs expiring within three months for the attention of Superior. National Form IV examination certificate who have attended and passed a 2-year course in Pharmaceutical Assistant from a government recognized institution. ii. Fabricate various related appliances. iii. Fit of patients under the supervision and modification of defective appliance with the guidance of superior staff. iv. Advice patients on how to use, maintain artificial limbs and body support devices and cleanliness knowledge of those appliances. v. Repair prostheses or Orthotics. vi. Prepare and ensure availability of materials required for making various appliances. vii. Assist in research work undertaken by Orthopedic Unit on artificial limbs and fabrication where necessary. Bachelor Degree in Orthotics/Prosthetics or its equivalent from a recognized Institution. Must be registered by the respective regulatory Board/Council. xii. Pharmaceutical compounding, dispensing and assisting the Pharmacists through drug store procedures. Diploma in Pharmacy from any recognized Institution. Must be registered by the National Pharmacy Board of Tanzania. i. Plan and implement specific programmes for individuals needing Occupational Therapy. ii. Evaluate treatment and follow-up patients. iii. Prevent disability, promote independence and improve the quality of life of clients and their families. iv. Liaise with families, community groups and Institutions on disabled and provide available support as required. v. Take care of the occupational therapy facilities. Diploma in Occupational Therapy from a recognized Institution, also recognized by the world Federation of Occupational Therapists. i. Attend in and out patients. ii. Attend emergency medical duties. iv. Ensure that prescribed instructions are carried out. vi. Assist Surgeons at operations. viii. Supervise medical students and interns in clinical duties. ix. Ensure that patients are properly prepared for surgery. x. Participate fully in morning clinical sessions, patient presentation and journal clubs. xi. Participate in research activities. xii. Participate in outreach programs. Doctor of Medicine (MD) degree or its equivalent from a recognized Institution. Must have completed one year Internship and be registered by the Medical Council of Tanganyika as a Medical Doctor. National Form IV examination certificate who have attended and passed a 3 years Diploma course in a Government recognized Institution. iii. Collect data and prepare reports of his/her working performance. v. Educate patients on their health problems. Ordinary Secondary School Education with a certificate in Enrolled Nursing course from a recognized Institution. Must be enrolled by the Tanzania Nurses and Midwifery Council. xii. 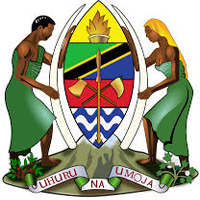 A signed application letters should be written either in Swahili or English and Addressed to Secretary,Presidents Office, Public Service Recruitment Secretariat, 27 BibiTiti Mohammed Road,P.O. Box 63100, Maktaba Complex, 11102 Dar EsSalaam.